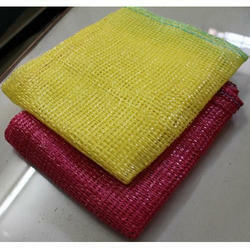 Mesh fruit bag, Fruit bag, Vegetable packaging net, Rose bud sleeve net and Leno bags. 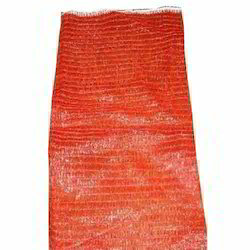 We have emerged in offering our valuable customers a wide array of Mesh Fruit Bag. The range of bags offered by us is extensively used in many industries for packaging of various types of fruits. To manufacture these bags, we make use of the excellent quality material in the production process. 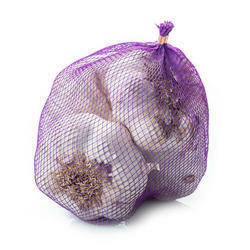 We are a trusted name involved in manufacturing, supplying and trading finest quality Onion Garlic Bag. 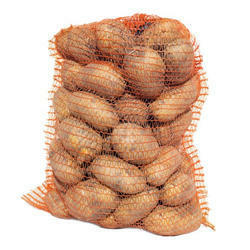 The offered product-line is perfect to carry onion and garlic during their dispatching in bulk. All these products are extensively used for packing garlic and onion in a perfect manner. Our organization is counted amongst the most distinguished manufacturers, suppliers and traders of high-quality Fruit Bag. The bags offered by us are heat sealed from one end and are flexible & enable ventilation for packed goods. These bags are used for packaging of fruits, vegetables, toys, gift articles and liquor bottles. 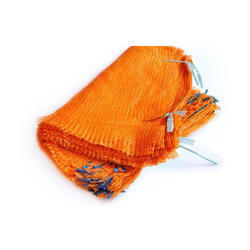 We are one of the leading manufacturers, suppliers, and traders of a vast assortment of Vegetable Packaging Net. Latest equipment and advanced technology are utilized by our experienced professionals in the manufacturing process following standards & norms of the industry. Also, we offer customization facility of the offered nets. 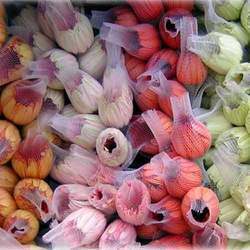 We offer a wide range of Rose Bud Sleeve Net. Fits well on with any type of rosebud. Grooms the bud to form a naturally beautiful, long and well-formed flower. Prevents ruffling of petals due to abrasion, wind or handling. Forms an ideal packing material till it reaches the end user. Our Leno Bags are specially woven and designed to maintain freshness of the packed goods by allowing air inside the bags to prevent inner moisture that may spoil the goods. Safe in direct contact with food products and do not cause physical contamination. Easy visual inspection of contents packed is possible in leno bags. Looking for Packing Mesh Bag ?